I sat on the couch today wanting to write. I have so many things to say. I thought to myself: Sad or Happy? It can go either way. Our family’s life is like that every day. Ups and downs, slow moving time, speeding out of control. I decided I’d figure it out when I start. But first I wanted to find the perfect picture to put in the post. I broke down more today than I have done in a very long time. Looking at all the happy times. It was definitely a big down. I don’t want everything I write to bring tears. It’s so hard being a parent and a family who has lost someone. You want to feel good so badly, but then the fear sets in: I shouldn’t have the right to feel good; I haven’t hurt as much as Gabby did. I realize I will get comments saying it’s okay to feel good, Gabby would want us to. But it’s easier to say those things than feel them. I know I have said all this before and I will keep saying it. Believe you can be a better person, believe in your children, and believe that all things happen for a reason. Even if that reason isn’t clear and makes no sense. Even if you hate what happened and will never accept it. All you can do is try to enjoy this rollercoaster of life the best you can. Because eventually the ride will come to a stop, the park will close and it’s time to go home. 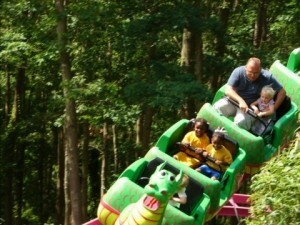 You’ll never be able to feel the same way and have the exact same experience on that ride ever again. So realize that while you’re on it. Smile, be scared, be sad, belly laugh, Do it all you deserve it, your family deserves it. You all deserve it together. Someone commented that we don’t need a foundation to make a difference. We should work on the foundation of our family earlier again this week. Again it wasn’t said with Malice. I understood what she was saying. I need to address it in two different ways. Carolynn and I understand how important it is to make sure they are with us, to make sure they understand we know what they are going through. And we will be there everyday to remind them. Secondly, for those of you who have children. Imagine the first touchdown your son scores, the homerun your daughter or son hits, the 1st place they take in the spelling bee. How they look when they drive the first time. The pride you feel watching them. In your mind you say, “ That’s my boy! That’s my girl! It’s a great feeling. I have had those times with all my daughters. I have had them with Gabby. I look at how brave she was the last 3 months of her life and I’m sad and proud at the same time. The Get Well Gabby Foundation in memory of Gabriella Martha Vogel is another way Carolynn and I can say: That’s my daughter, she did that! She changed the world! She helped others not just in the short five years of her life but for the remainder of ours and longer. That’s why it’s so important to us. We want the homerun, the prom queen, and the spelling bee champ for Gabby, but that’s not possible. This is. Thursday the paperwork will get the final review, it will be a reality. The foundation will start to make a difference for a family on Valentines Day if we can raise the money. Valentines day was always a special day for me and the three girls. I would get them each a small toy and sneak a small box of heart shaped chocolate under their pillow as they slept. I’ve done this for nine years. They all know it’s coming but are excited each year. I broke down in a Valentine’s section of a craft store the other day. And decided this year Gabby”s foundation will surprise a little warrior this year. So I plead to you all, help us! Tell everyone if they are looking for an amazing cause, an amazing place to donate towards a foundation that will work till they drop making sure the donations go to the right place. Please spread the word about Gabby’s foundation. Help Carolynn, The girls and I be able to say: That’s our girl, That’s our sister! Earlier this week I was watching people surf on the bay using huge Kites to drag them through the water. It was so beautiful to watch as the sun started going down. I was happy, then sad. Another beautiful moment followed by a drop when reality set in. I posted something to the other parents starting this battle, It took me a while to realize it, and don’t get me wrong at times I say to myself that’s BS this is horrible, life is horrible. What I realized is the road all of us are on now has lots of ups and downs. A lot more downs in the beginning and even more if something terrible happens like your baby earns their wings. But the one thing you can never forget is there will be an up eventually. The job you need to do for your family and yourself is just wait for the next up. Believe it will happen. It will. I have been following your family’s story from the time Gabby was diagnosed. Please don’t let others criticism of what you write/how you write them, etc. detract you from blogging. I cannot fathom the pain of losing a child. I do have an older friend, however, who lost a child many years ago, and instead of venting her anger, hurt, grief, etc. she turned it inward, and to this day, she is a very angry and sad person who will lash out at a moment’s notice. It breaks my heart. Her pain is palpable because she locked it inside. There will be ups, and there will be downs, like you said. Know that there are those of us who will ride them with you. Elaine- I also know a woman who lost her three sons all at separate times, she too is locked inside herself. She sometimes is a mean and sharp tongued person who picks her feelings out on others. I think people need to vent, scream, say whatever crazy thing they are thinking so they can heal and try to move on. John and his kids will be OK, they are venting, crying, laughing, and sticking together. They also want to help others. That’s what important, to make this bad thing have something good come out of it. I am sure their girls will grow up to be very strong, compassionate girls. Although their family seems broken to them now, the work they are putting into getting it back together will make it tougher then cement. They believe, and people like you and I care. Together we can all make a difference. Maybe someday, another little blonde haired girl will have a chance to win their fight, and maybe it will be because of Gabby’s foundation. There are times when I see how much pain my friend is in, and I feel helpless. Unfortunately, I am one of the people that she will lash out at. I know it is the pain talking, but it hurts nonetheless. I have found that as I have been dealing with my own pain I’m unable to listen to the pain of others. Usings FB and your blog page are an outlet to allow you to lay that burden in another place. And to maybe say something that you just can’t say aloud. YELL IF YOU NEED TO YELL!!!! You above all have that right. Bless your sweet baby girl and family during this time. My thoughts are with you. Thank you for writing and sharing your thoughts and feelings. I’ve said this before, I have no idea how you get through each day. I believe. And I think that Gabby’s foundation is a wonderful way to say that is MY daughter and I am SO proud of her. She is an inspiration to me and to my daughter, who has her own health issues. She had open heart surgery and a liver transplant at 12 weeks from a rare genetic liver disease. She’s 13 now. But… she is trying to raise money to donate to Gabby’s foundation. She’s ordering bracelets to sell “Help for Hopes”, her idea, in pink, for Gabby, and is going to sell them at school and donate all the proceeds to Gabby’s foundation. Gabby inspired her immensely. beautifully written John! Your family is still always in my prayers! I have followed Gabby’s brave story for quite sometime and I appreciate the fact that you are so open and honest about your feelings. I do have a seriously ill daughter (not with cancer but still life threatening) and I have felt sometimes how you describe feeling. It does help me to know other’s go through the same feelings and that it is okay. My daughter is only two and is one of the bravest angels I know (much like your beautiful Gabby is to you). I always read all of your post and would like to say thank you for sharing your family with us. This has nothing to do with losing a child but it has everything to do with being honest and open about your feelings, no matter how unattractive or ugly they may be so you may heal. I was in a marriage to an alcoholic for about 7 years. He drank 8 days out of ten and was unpredictable. Sometimes he was funny, sometimes he was sweet but much of the time he ended up being angry and violent. Most days I would drive home from work with a knot in my stomach not knowing “who” was going to waiting for me. The nice guy or the angry guy? I also had to be a good mother through this trying time. On really bad nights he would either leave late or not come home for hours. I realized it was time to get out- that I had lost the battle when I started praying not for him to come home safely but for him to wrap his vehicle around a tree without hurting anyone else. Those feelings were terrifying and embarassing to me and I wondered what kind of person I must be to want that to happen to my own husband. When I got out and began getting counseling I learned that these feelings are normal and are part of the survival process- they helped me to extract myself from a horrible situation. A few years later I was counseling a woman in a similar situation and I shared those feelings with her she broke down and thanked me for being so honest because she felt the same way and was afraid all the awful things her husband said about her were true. Honesty, no matter how ugly or raw, is still honest. And it will help someone to realize that the confusing and scary thoughts that run through their minds are part of the healing process. Keep sharing and don’t hold back. You are doing more for Gabby’s memory and for other families suffering through this with your honesty than a million dollars can do. The way I see it……..Precious Gabby would have made a difference in this world had she had more time. She would have changed/done something!!! The foundation is her chance to change the world and make a difference…she just needs you to fill out the paperwork!! We are still fighting gor Calli, and now my mother in law. Calli reads your twitter posts each day… We are living it, each day I am reminded how Gabby and Calli got diagnosed in the same week, and that my baby is here, and yours is not. Each day I treasure… You keep writing, we are too- it heals, not just you… It helps me feel normal, others too. Blessings to your precious family. Please keep Hoping and Praying and believing for Calli. I am so grateful for your honest blogs. I suffer from depression and you always have a way of helping me to see the light….the “ups”! Gabby has and will continue to change hearts and lives,through her foundation! I hope to join you in the fight and make a difference in the lives of others! I believe!!!! Anne Marie, you said it – I am in a similar situation, and I feel the same way about John’s writings. I am looking forward to (eventually) reading “The Book Of Get Well Gabby”, because John and family inspire me – I hope to read the whole story, and it would probably be a great fundraiser. Hope you get to feel better soon Anne Marie. Thank you for opening up your heart to all of us! Because of you and your constant reminder of how important family is, I kiss my kids heads at every chance I get throughout the day and while they sleep at night. I appreciate the fact that you have made me more aware of the blessings I have. You were most certainly blessed with an incredible family as well and it is magnificent to see how incredible your kids lives are thanks to great parents like you! God bless! Always believing in your beautiful Gabby! Your writings are truly amazing. Please continue bringing awareness so others can believe as well. You guys continue to impress me with your courage,honestly,and love for your family. I have been following Gabbys story since the very beginning. She has definately changed my life and the lives of so many others. I have gotten so many to go to her page and click like because I want to share with them as well. Both my parents and grandparents have had Cancer and I lost my little boy age 2 in 2004. 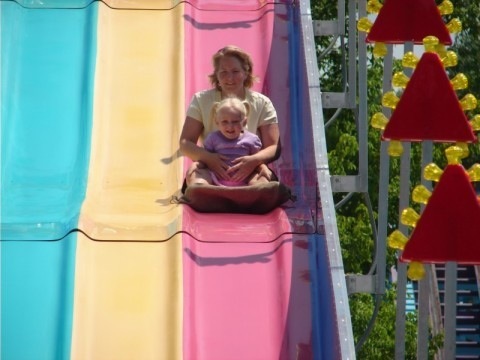 My life has been the roller coaster you described so well. I know Gabbys foundation will grow in leaps and bounds. I want to stop cancer in its tracks. It is horrible and takes so many lives and so many innocent beautiful children away from the family who so loves them. Keep posting and keep telling your feelings exactly as they are. Your honesty is amazing to me and is a great way of healing for you and your family. I am glad the foundation is getting ready to take off. Gabby will always be alive in the hearts of so many. Take Care and we all love you guys. Believe!!! Your words are beautiful and inspiring. The honesty is breathtaking. I am so thankful that you have turned something so negative, destroying and uncomprehensible into finding a cure and helping someone who is going through what you have been through. I truly believe if you help one person, then you have succeeded. But the beauty of this foundation is that you will help more than one person, you will encourage all parents to love what they have and not to take it for granted, and most of all, you will help us all believe. 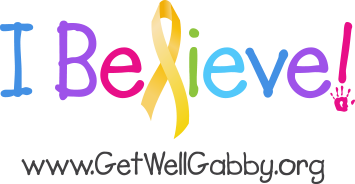 You will help Gabby live on forever….in our hearts, in our minds, and in something that we can all see and be a part of. Lots of love to you, the girls and your wife. Thank you for sharing your story with us. Thank you for believing. Are you taking enough time to sleep, or are you running on adrenalin?